The C3 Corvette, with its huge, curvy wheel arches in an era of straight lines, was already a bit ostentatious on the world sports car scene. John Greenwood looked at the C3 Corvette and said, “It needs more ‘Murica.” He was right. Here’s a bunch of stuff Road & Track Googled about the Greenwood Corvette, which is about as much as I could write on the matter. All you really need to know is Greenwood built one heck of a ‘Murican race car. This cast comes from Hot Wheels’ 2012 ROADRCR series, which also included the stunning James Garner’s COPO Corvette. It was only available in Canada and then disappeared forever. The Greenwood is arguably the best Corvette cast Hot Wheels has every produced and it’s still being used in new releases four years later. 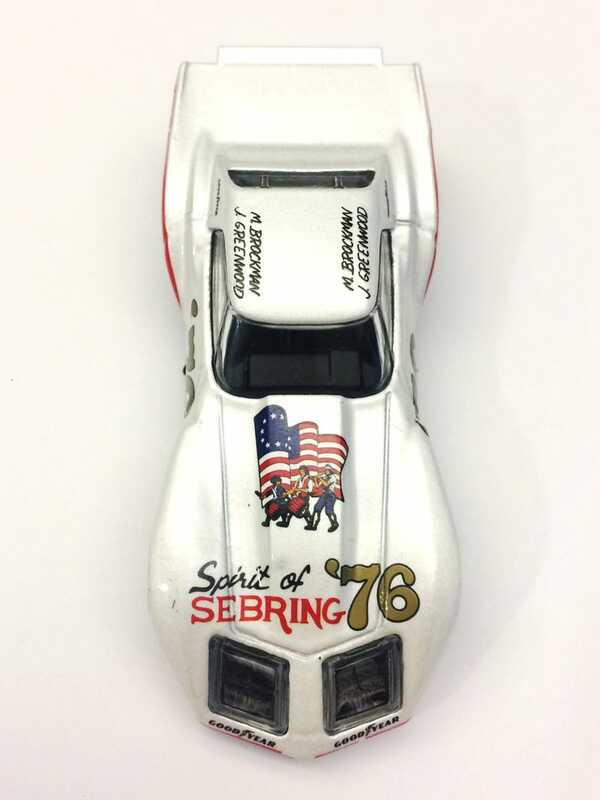 This Spirit of Sebring is especially notable because it’s the only Greenwood to appear in an authentic race livery. It would be perfect if it weren’t for the bits of tampo on the nose that rubbed off in the packaging. This is actually a common problem with the Greenwoods since they’re so long. Ultimately I don’t think it takes too much away from what is otherwise a stunningly detailed cast.